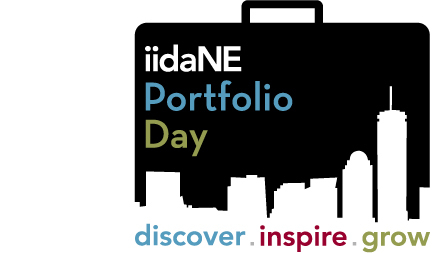 On Friday, April 1st, IIDA New England will be hosting the 5th annual Interior Design Student Portfolio Review. Registration: 8:00am – 8:30am: Light refreshments and breakfast will be provided. Interactive Workshop: 8:30am – 9:15am: Begin the day with an interactive graphic workshop on how to brand yourself, hosted by Emily Sano. Submit your portfolio early for a chance to enter the contest. Portfolios will be judged on content, clarity, and ability to communicate design work. Email one PDF file less than 10 MB to students@iidane.org by March 28th in order to be eligible for prizes. Winners must be present for the awards announcement to accept their prize. 1.) First place IIDA student membership for 2016, Visa Gift card, & an additional exciting prize! 2.) Second place IIDA student membership for 2016, Visa Gift card, & an additional exciting prize! There will also be a workshop with environmental graphic designer Emily Sano! Sign up for the workshop here. For more information email students@iidane.org.